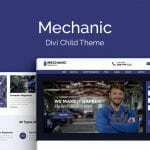 When developing a website with WordPress, it is best practice to use a child theme following the installation and activation of a parent theme. The Aspen Roots child theme has been developed to assist those who wish to bypass the process of setting up the child theme files. The child theme, Aspen Roots – which includes a number of premium features – will allow you to begin developing a website in minutes, without having to fumble through lines of code, and without the threat of theme updates overwriting your development progress. In order to preserve and protect both completed code work and a web build itself, it is deemed as best practice when developing websites with WordPress to use a child theme in conjunction with a parent theme. 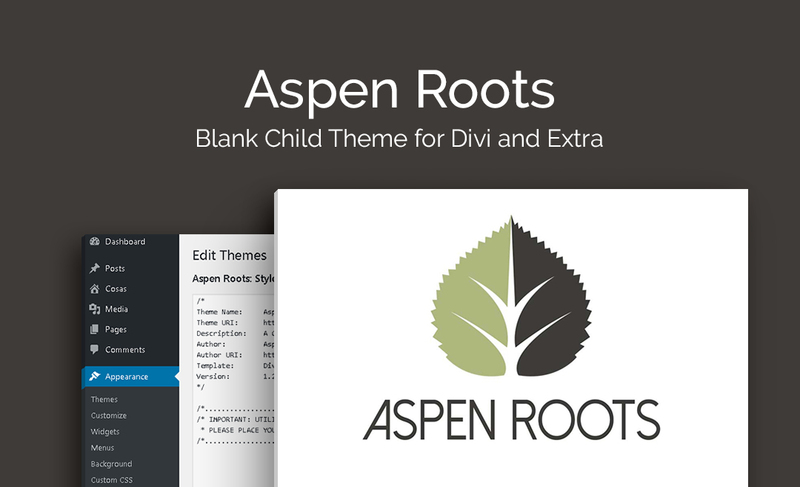 Aspen Roots is a blank child theme that is designed to help both new and experienced Divi users bypass the process of creating a child theme from scratch. Here, the Aspen Roots child theme ships with all of the already scripted files (including style.css, functions.php, footer.php) which will, after activation, automatically install to your WordPress website. Aspen Roots is referred to as a “blank” child theme, meaning that it includes no previously completed design or development work, but merely acts as a framework. 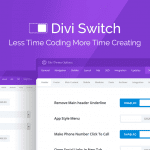 Here, you’re free to use the Divi Builder in the standard fashion and develop a website as you see fit, just without the threat of theme updates erasing your work. Aspen Roots includes a range of premium features including the Aspen Footer Editor (to style out a site-wide footer area), Login Customizer (to customize the default wp-admin login page) as well as a 404 Error Page template settings (to create an error redirect page).